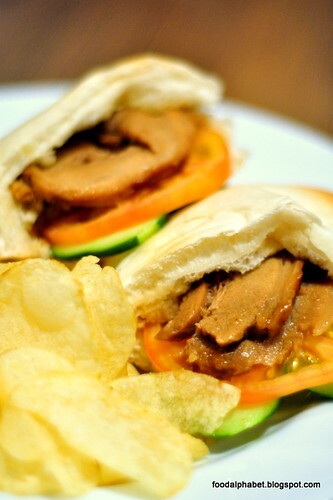 One of their latest offerings, the Char Siu Pita pan (P289) or in layman's term as Asado slices in pita bread. 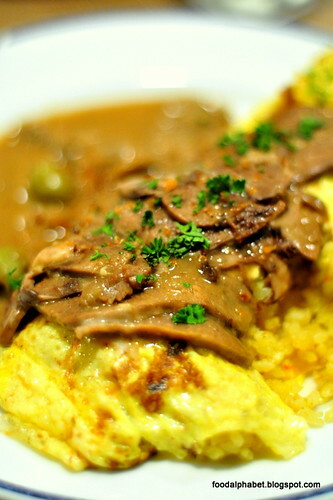 This dish is really delicious. With hefty slices of Asado, tastefully en-capsuled in slice pita bread, was a delight in a every bite. The soft pita bread sucked in all the tasty paste of the asado, giving it full flavor from the meat to the pita buns. 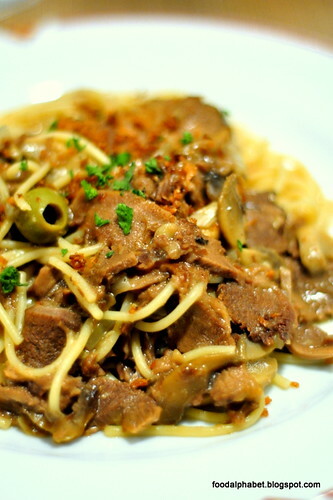 Another new dish spicing up UCC's line up of delectable treats is Char Siu Soup Spaghetti (P389). 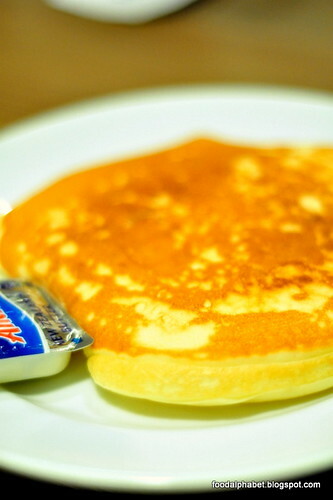 Though it may not be very photogenic, the taste speaks for itself. 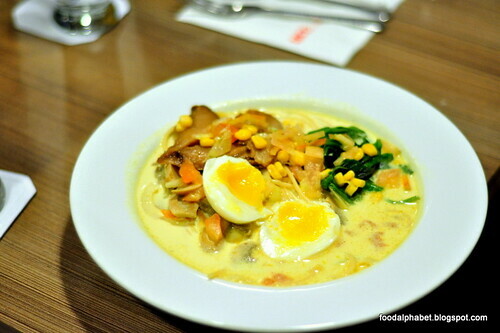 Incorporating spaghetti noodles with an asian twist of Char Siu, topped with spices, mushrooms and corn kernels in sweet curry soup, gives a whole new meaning for noodle soups. Wondering what this is? 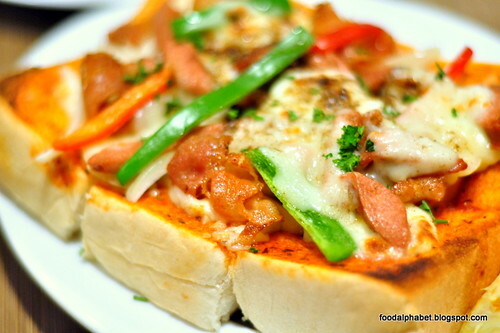 It's the Sausage and Bacon Pizza Toast (P259), a simple and great UCC treat, making the most of pizza ingredients topping the soft and thick bread crust, I just can't help myself but drool. Oh! 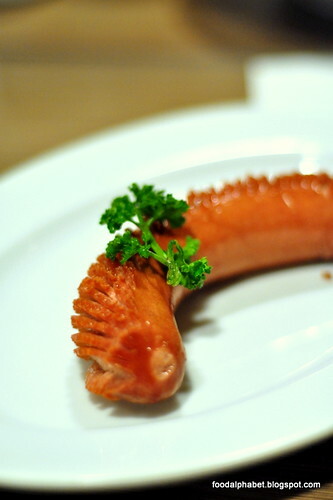 I miss bacon. 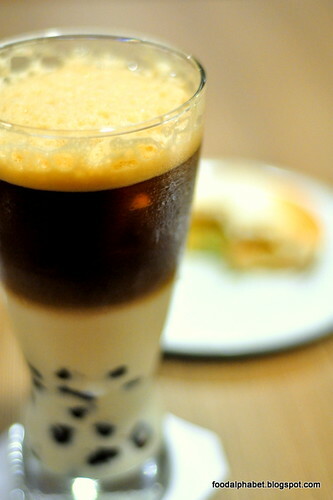 The UCC Pearl milk coffee (P119), a new twist to your regular iced coffee. Combining milk and coffee is but a natural thing but adding tapioca and with a little froth on top takes you to a whole new level of coffee drinking. 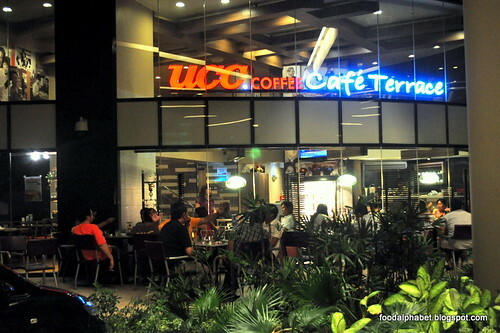 Try it and enjoy its coffee goodness or you may opt for their UCC milk tea also on their menu. 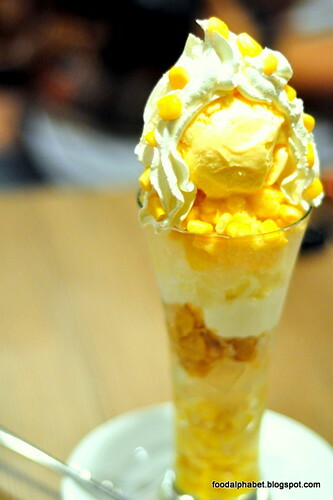 Even though the rainy season has arrived, we still need to cool down on those hot days, and UCC has given us Summer Parfaits, with the Pearl Coffee Parfait (P239) and Mais Con Yelo Parfait (P199). Giving you that much needed break from the hot weather outside. Take a bite at their Halo-Halo cake (P250), an original from UCC, is a mixture of all that makes up a Halo-Halo in a cake. 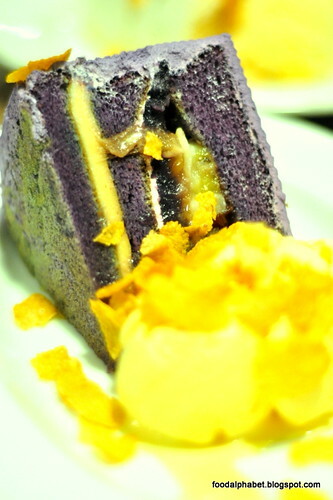 Savor the sweet goodness, with ube chiffon cake and quezo ice cream. 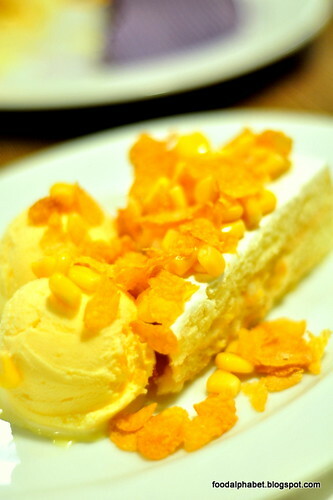 Another treat is the Mais Con Yelo Cake (P185), with sweet corn kernels creamed and mixed into a milky, velvety paste, combined with fluffy vanilla cake and quezo ice cream will surely melt into the hearts of everyone who enjoys eating. 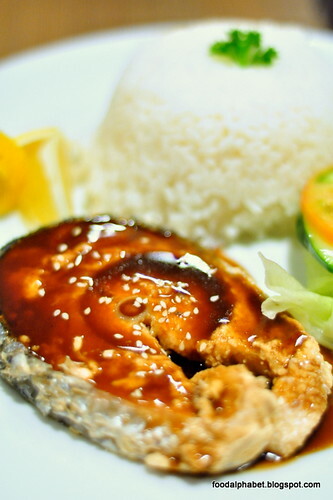 Grab a bite at UCC Cafe Terrace in One Rockwell, Newport Mall and just recently in Lucky Chinatown Mall. Enjoy bite after bite of a creative mix of flavors and uniqueness only UCC can give. 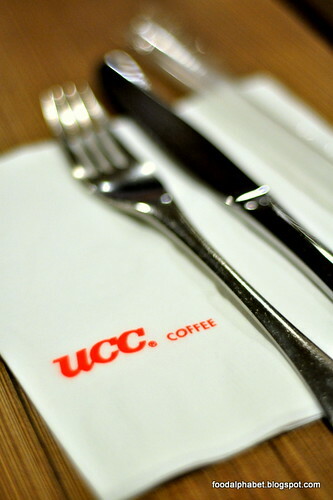 See you at UCC Cafe Terrace. 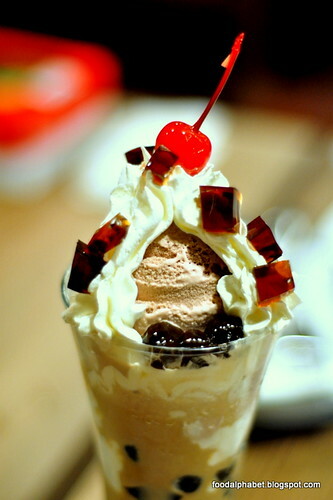 The halo halo cake comes with a cup of brewed coffee.